Last week I was able to attend Cincinnati Shakespeare Company’s REVEL AND FEAST, which you can read about here, and the opening night performance of VENUS IN FUR at the Cincinnati Playhouse in the Park. I also attended the reading of a new play by new playwright CJ at a CPI Cold Reading Salon, which featured the talents of local greats like Ken Early, Burgess Byrd, Deondra Means, Torie Wiggins, and Piper Davis. What a lucky playwright to have such amazing people read her work this early in its development. This upcoming week looks to be very interesting as I’ll be taking in three very different shows. First, on Tuesday night I’ll see BIBI, the newest play by former CPI President and local playwright, Kalman Kivkovich. This show is produced by a brand new theatre, Diogenes Theatre Company. This one man show, starring Robert Pavlovich as Israeli prime minister Benjamin Netanyahu. I ran into Kalman on Thursday at the Playhouse and he told me to expect a 90 minute show with an intermission and that the direction by Drew Fracher was brisk and well-paced. I’m intrigued. Tickets are available here. Read my interview with the actor here and here’s a video piece by Channel 9 news. Long before Peter Pan ever appeared on stage or screen, it was a game played by playwright James Barrie and five young brothers among the stately promenades and climbing trees of London’s Kensington Gardens. In this adaptation, Barrie rejoins the game, and travels through his memory and imagination to revisit the moments of his life that influenced the creation of Peter Pan’s most iconic characters, moments, and places. As Barrie slips between the timeless world of Never Land, 1870s Scotland, and war-torn early twentieth century London, he reveals how his relationship to his most famous and long-lived work changed throughout his life. 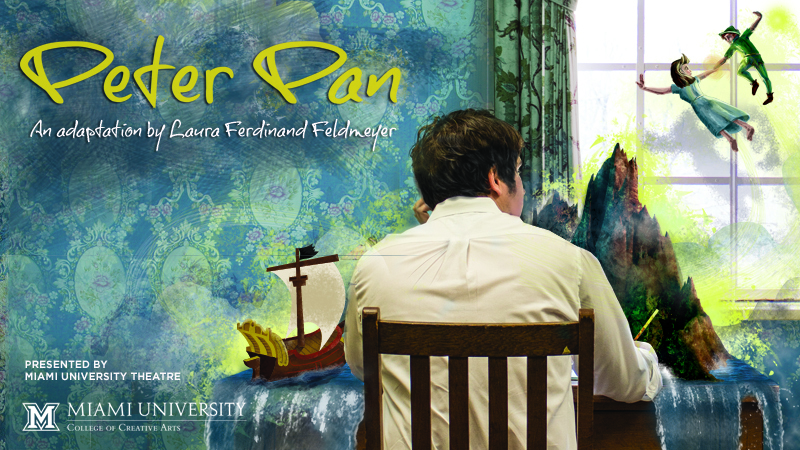 As Wendy flies to Never Land, Hook captures the Lost Boys, Tinker Bell drinks the poison, and Peter decides whether to grow up or stay a boy forever, the character of Barrie must choose whether or not to finish writing Peter Pan in this creative re-imagining of the original 1904 play. Pulling from his personal notebooks, published works, speeches, and letters, Barrie speaks in his own words – painting a personal portrait of one of the world’s most beloved writers. The show opens on Wednesday, April 30th and runs through May 4th. Tickets and more information are available here. Tickets are on sale now and are available here. I’ll see it on Friday night! The show runs through May 11th including a rare weekday matinee on Thursday at 1PM for those of you are afraid of the dark. 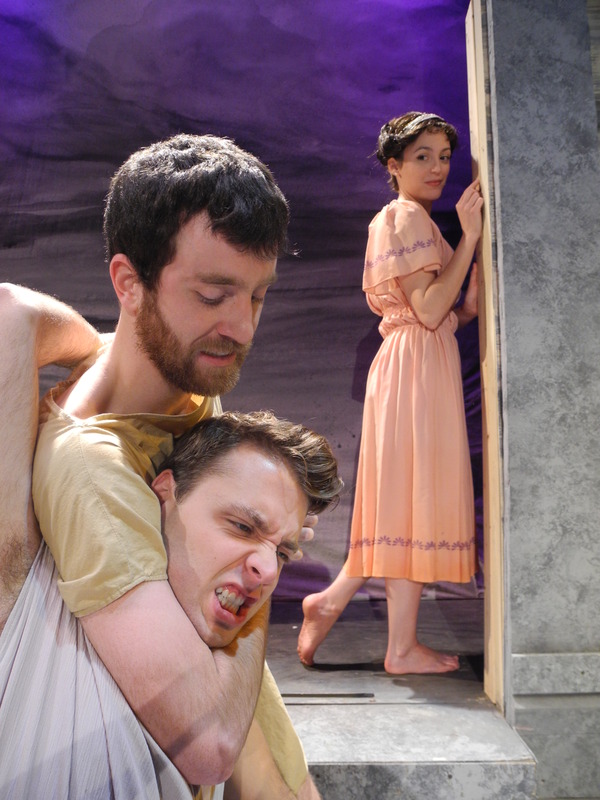 (From top left) Zach Schute as Arcite, Matt Lytle as Palamon and Sara Clark as Emilia in Shakespeare’s “The Two Noble Kinsmen” directed by Brian Isaac Phillips. Photo by Cal Harris. Opening on Friday night is the final play to complete all 38 of Shakespeare’s plays at Cincinnati Shakespeare Company with their production of TWO NOBLE KINSMEN. Also, be sure to read my recap of REVEL AND FEAST, the celebration of their completion of the canon here! I’m pumped about their season next year and their PROJECT 38 festival which will happen next June featuring talent from 38 different area high schools. CSC continues to grow by leaps and bounds! TWO NOBLE KINSMEN runs through May 25th. More information is available about the show, including ticket information, here. On Saturday, I’ll see The Sunset Players production of THE 39 STEPS. Starring Nik Pajic (who was Billy Bibbitt in ONE FLEW OVER THE CUCKOO’S NEST at Falcon Theatre), Merritt Beischel (who I enjoyed in SEMINAR), Peter Merton, and John Funcheon (who was gracious enough to introduce himself to me when I recognized me as Chief Bromden) when I saw THE TWENTIETH CENTURY WAY at the KNOW Theatre. I’m excited to see what this community theatre does with this hilarious show. More information and tickets can be found here. Don’t forget to check out Covedale’s GYPSY (which I’m finally seeing on Thursday night!) and the KNOW’s wonderful production of THE TWENTIETH CENTURY WAY this week before they close. 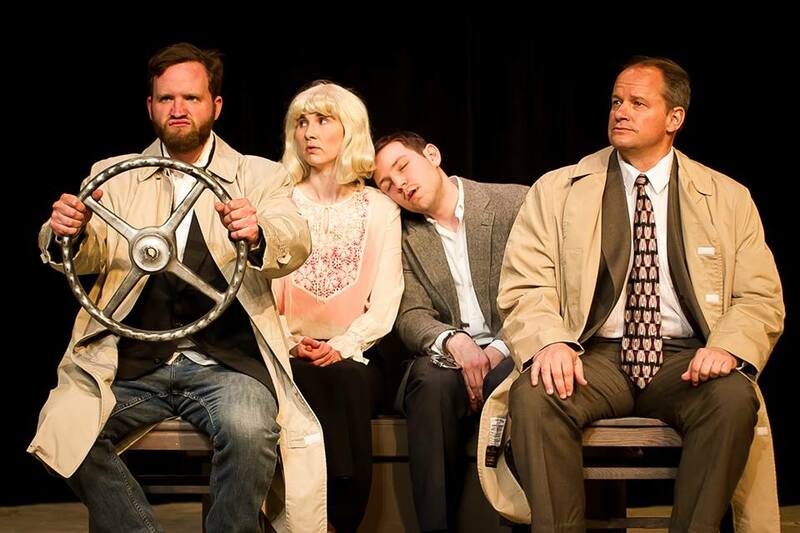 VENUS IN FUR continues this week, as well, and several other community theatre productions are running. You can always find a comprehensive list of area shows at Rob Bucher’s site, BEHIND THE CURTAIN CINCINNATI. 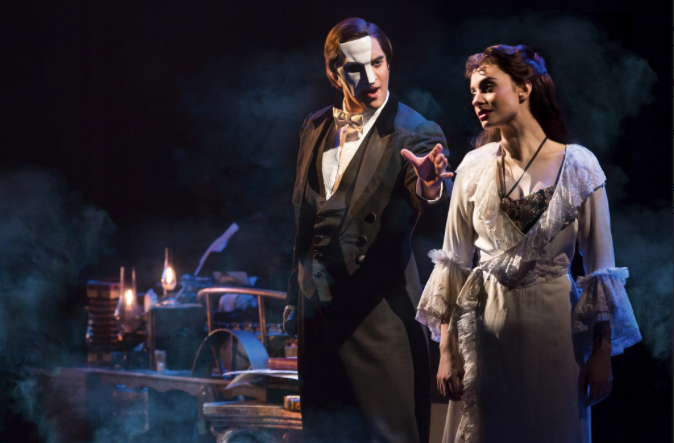 So, with all this great theatre in town, what are you planning to do this week to support it? Hope to see you at the theatre!